Not much is known other than being a slice-of-life comic as per Luyidraws' Patreon page. Luyi is a freelance artist and illustrator. Like many freelancers, comics seems to be a way to promote Luyi's skills. 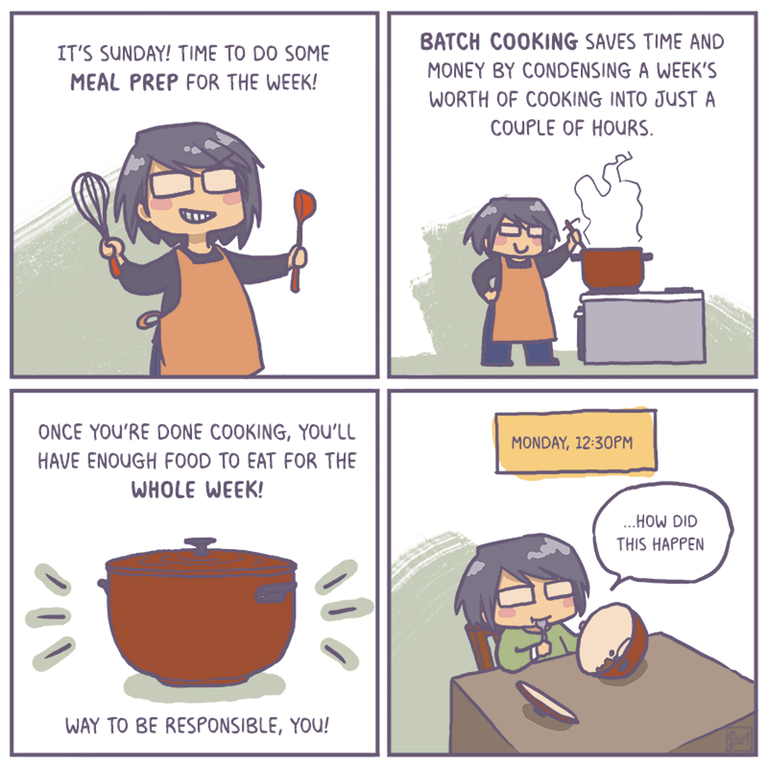 A comic about portion control (or lack thereof). Weekdays vs. weekends. A Slice-of-Life comic is considered a "cut-out" of a character's life. We think every webcomic artist could agree with this one. It's pretty sporadic. Based on Reddit, we would say 1-5 times a month. As a slice-of-life comic, Luyidraws is pretty standard. It's cute and features Luyi's relationships. One aspect we appreciate in particular are the comics about mental health. 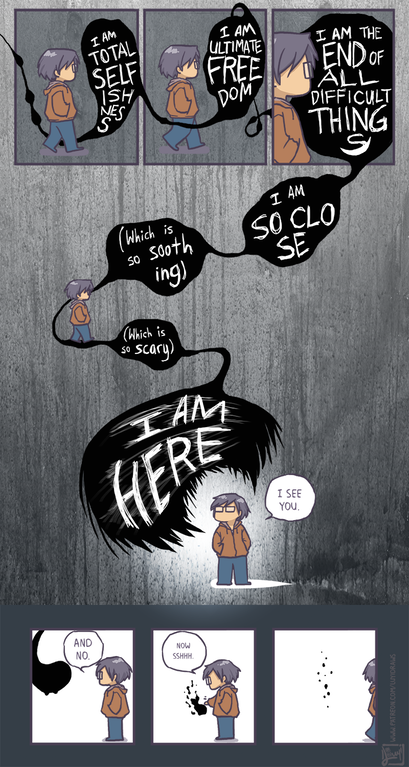 Luyidraws tackles depression and in this comic below, dedicated a comic to National Suicide Prevention Awareness month. In terms of slice-of-life comics, Luyidraws is pretty standard but also shows a lot of potential. There is a unique style here and the writing is sharp. All in all, it's quite adorable. But with comics like this, there needs to be volume and consistency to really make a splash as a webcomic. We want more! More! Here are some another slice-of-life stories from our own No Middle Ground.